Welcome to the CrossOver Family! 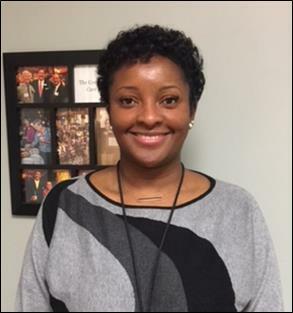 Please join us in welcoming our new Director of Nursing & Operations, Zara Morgan, RN. We are very excited about Zara joining our team! Zara is a registered nurse with more than 20 years of experience. From pediatrics to geriatrics, she's seen it all. She has a strong focus on preventive care, health education, and improving patient outcomes, all of which make her a perfect fit for CrossOver. She also brings with her excellent leadership experience, having served as the Clinical Coodinator of the Primary Care Clinic at VCU Health for six years. Born in Liberia, Zara and her family came to America when she was 13. Since then, she has called Richmond her home. She is the mom to a 15-year-old son, and she enjoys traveling, cooking and meeting new people. She says her passion is "providing a lasting impression because people will never forget how you make them feel." Welcome to the CrossOver Family Zara!